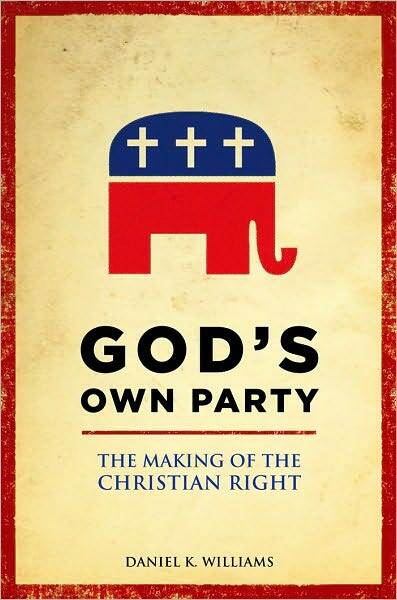 Though many may see the rise of the Religious Right and the engagement of evangelicals in the political sphere as a recent happening, Daniel Williams’ assiduously-researched book, God’s Own Party: the making of the Christian Right, published by Oxford University Press, reveals that its roots go back to the 1920s and 1930s. 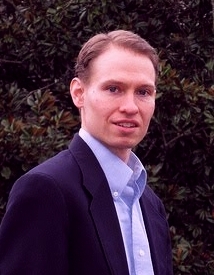 Williams, assistant professor of history at the University of West Georgia, tells the story of how fundamentalists and evangelicals moved into positions of political power and influence as soul-winning was replaced with social-crusading. Though rooted in the early decades of the twentieth century in a fight against communism a decisive shift occurred mid-century and following as groups like the National Association of Evangelicals (whose records were used for this book) and individuals like Billy Graham grew in popularity and influence. By the 1960s Graham was becoming known as the President’s pastor and took on celebrity status. This popularity became a tool for shrewd politicians. By the 1970s litmus-test issues emerged as social controveries abounded like the Equal Rights Amendment, Roe v. Wade, Birth Control and homosexuality. In more recent years, as Williams’ research shows, younger evangelicals expressed concern for environmental and social-justice issues. Williams’ book serves as an essential resource for understanding the current and historical relationship between American evangelical religion and politics.